Every day, the headlines warn us that robots will soon replace humans in more and more jobs. But in many areas of industry, experts believe that the best work is a joint effort by man and technology. 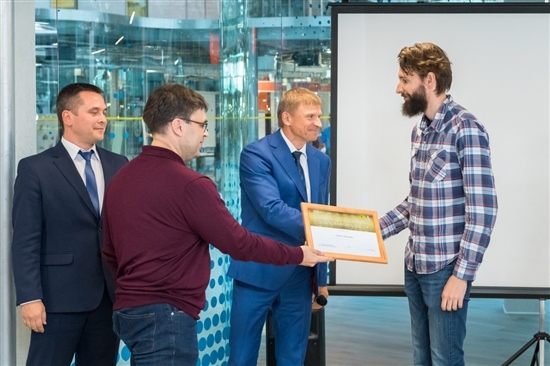 This is the thinking behind a competition held at the Skolkovo Technopark last week to find the best smart technology solution for monitoring manual operations by an assembly plant worker. The contestants had to design a system to automatically monitor work done by people on an assembly line. Photo: Sk.ru. To put it another way, the competition’s organisers – the Skolkovo Foundation, the Prospective Initiatives Foundation and KAMAZ truck maker – were seeking technology that can monitor in real time manual labour lines where people are performing important tasks, and which could instantly recognise when something has gone wrong and promptly stop the process or come up with a solution to rectify the mistake, explained Nikolai Suetin, vice president of the Skolkovo Foundation for science and education. “Thanks to increasing computational power and the development and decreased cost of high-resolution colour video cameras, it’s possible to quickly process a video data flow, identify critical movements and use that movement to make a conclusion: is the operation being performed correctly or not?” he told Sk.ru ahead of the competition final on Thursday. “To achieve this, modern methods are used of so-called business video analytics based on trained neural networks,” added Suetin. The Skolkovo Foundation's Nikolai Suetin (left) and Sergei Garbuk, deputy director of the Prospective Initiatives Foundation. Photo: Sk.ru. The competition was looking for winners in two categories: best technical solution and best potential for commercialisation. The first category was won by Motiv, which designed a system for monitoring adherence to regulations and for ensuring that all technological processes are being carried out properly, as well as monitoring that correct clothing is being worn and safety standards are being met. 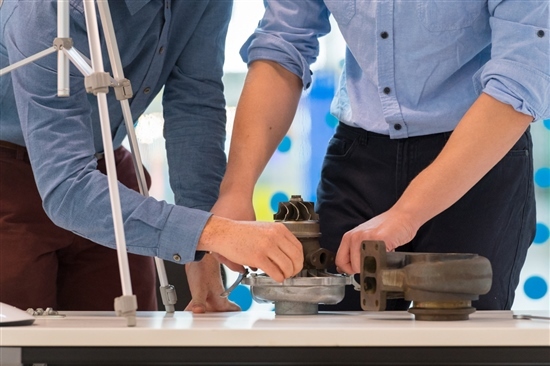 The second category was won by the Open Code team, which had created a prototype software and hardware complex that monitors whether a specific Kamaz turbo-compressor is being manually assembled correctly. 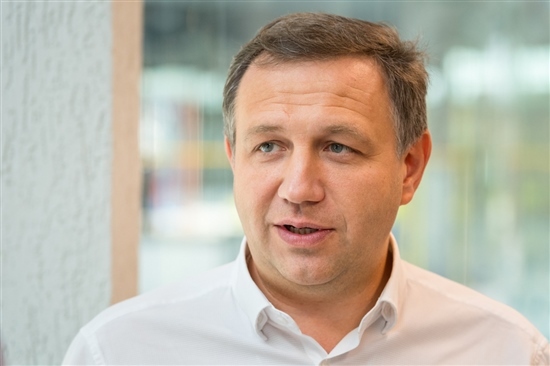 The company’s aim is to get their product – labelled a smart workspace for a manual assembly operator, which uses Open Code’s own recognition, computer vision and augmented reality technology – onto the market, said Pavel Krivozubov, head of robotics and artificial intelligence within the Skolkovo Foundation’s IT cluster. Sergei Garbuk congratulates the Motiv team, which won the prize for the best technical solution. Photo: Sk.ru. The competition was the third joint competition between Skolkovo and the Prospective Initiatives Foundation (PIF), a government agency set up to develop new military technology. The competitions have all been aimed at using applied artificial intelligence to solve various technology tasks. “In this particular instance, we are trying to solve a task related to the smart automated monitoring of manual operations at an assembly plant during the creation, technical servicing and repair of high-tech manufacturing,” said Sergei Garbuk, deputy director of the PIF. “When such manual operations are being performed, a lot of mistakes get made, and when complicated technology doesn’t work out in the field, most of the time, the reason is the proverbial human error. So we’d really like to have technology that could observe what a person is doing manually, while having a detailed description of the digital model of the part that the person is working with and a description of the technological process, that would detect deviations from the set rules for carrying out that technical operation and would alert the person to them by telling them what to do, issuing the required information, and would document potential deviations in the product’s electronic log book and so on,” explained Garbuk. Alexei Purtov, chief constructor of digital planning systems at the KAMAZ truckmaker. Photo: Sk.ru. Human hands are “a perfect mechanism created by nature, and in many cases, it’s not effective in economic terms to remove them from the technological process,” he said. “I am actually very skeptical about the idea of replacing human hands with robot manipulators. Of course that should be done in places and situations that are dangerous to humans, but overall, it’s my opinion that it’s not right to deprive a person of a job in which they use their hands. Giving that person a smart assistant, however, is a very promising path,” Garbuk told Sk.ru. The practical tasks set by the competition were overseen by KAMAZ, making the challenge part of an authentic technological process. “We provided contestants with space in our technological chain,” Alexei Purtov, KAMAZ’s chief constructor of digital planning systems, told Sk.ru. 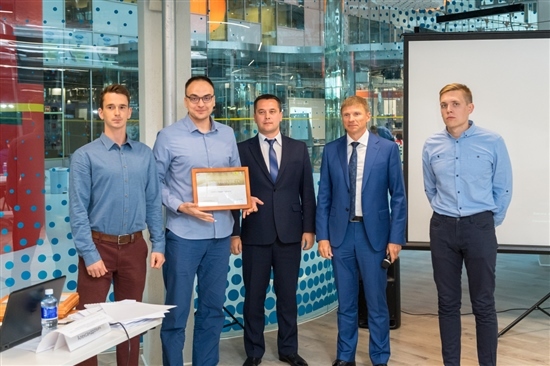 “We took the real technological process of assembling a turbo-compressor, analysed typical mistakes that are made in that process, and simplified the process a little so that it could be used within the competition,” he explained, adding that the finalists were presenting the results of their work on that process at the Skolkovo Technopark. The winners in the "best potential for commercialisation" category were the Open Code team. Photo: Sk.ru. While the PIF offers project financing for the winners and Skolkovo offers them the chance to obtain resident status, with all the benefits that brings, KAMAZ sees interesting potential for the application of the technology to repair and service its own automobile technology. “People servicing cars … never know what problem they might encounter,” said Purtov. “If they have an experienced prompter behind them, they will always be able to deal with any task in a fully qualified way. This is the biggest area of interest for us. “We are hoping to see solutions that firstly provide close monitoring of how manual operations are executed, and secondly, that guarantee a prompt reaction to incorrect actions and simultaneously issue advice on what to do in that situation,” he concluded. The competition organisers say the contest is just the start, since the technology could be used in a multitude of industries, including construction, agriculture, the food industry and “anywhere and everywhere people are manually performing a particular technological process,” according to Garbuk.